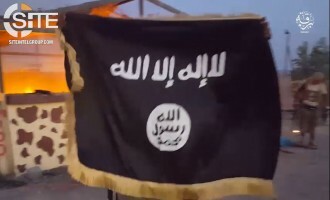 Tripoli Province, a division of the Islamic State (IS) in Libya, claimed killing and wounding 50 people in a two-man suicide raid on the main court building in Misrata. 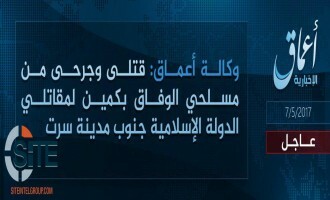 'Amaq News Agency reported that the Islamic State (IS) is responsible for the suicide raid at the main court building in the Libyan city of Misrata. After a long period of dormancy, Barqah Province, a division of the Islamic State (IS) in Libya, released a video showing attacks in Jufra and Nufaliya in August 2017. 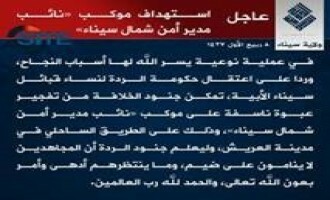 The Islamic State’s (IS) Tripoli Province in Libya claimed credit for a car bombing on loyalists of Libyan general Khalifa Haftar in Sirte. 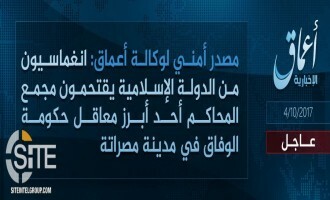 The Islamic State’s (IS) ‘Amaq News Agency released the first video showing IS fighters’ activity in Libya in months, with their operating a checkpoint in the center of the country. 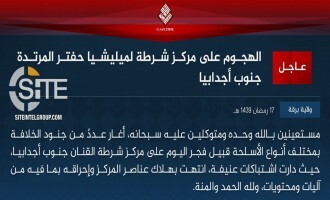 The Islamic State (IS) claimed its first attack in Libya in three months, striking a checkpoint of General Khalifa Haftar’s militia in Jufra in the middle of the country. 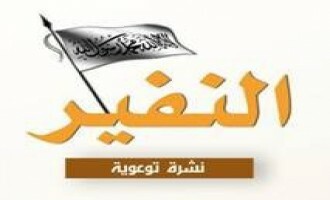 Ansar al-Shariah in Libya issued a farewell letter to fellow revolutionaries and Libyan Muslims, announcing its dissolution and urging they form a united fighting front against the enemy. 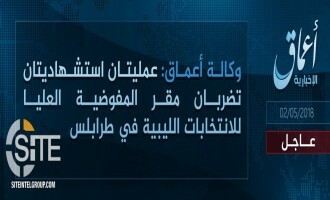 The Islamic State’s (IS) ‘Amaq News Agency reported an attack on forces from the Government of National Accord south of Sirte, Libya. 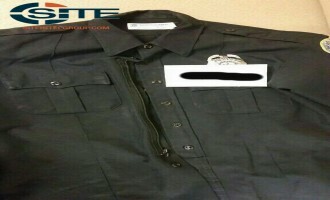 A jihadist alleged that the Islamic State (IS) made preparations from its then-stronghold in Sirte, Libya, for an attack in the United States. 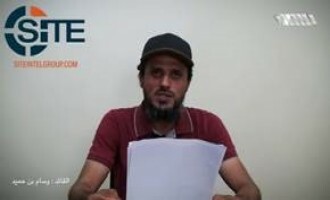 A jihadist produced a weather forecast video for “provinces” of the Islamic State (IS) in Iraq, Libya, Sinai, and Syria, to help serve the group’s self-proclaimed Caliphate. 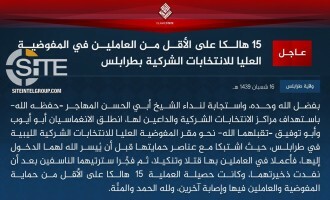 Tripoli Province of the Islamic State (IS) claimed killing and wounding 46 Libyan soldiers in Sirte, while the IS’ ‘Amaq News Agency reported fighters detonating 15 explosive devices in the past 15 days in the city and its outskirts. 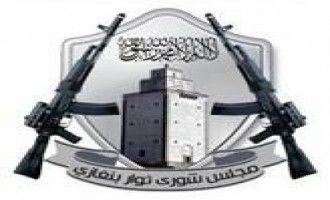 The Shura Council of Benghazi Revolutionaries (SCBR) threatened everyone involved in bombing Benghazi and the Ganfouda area in particular, and warned civilians from approaching military barracks and gatherings. 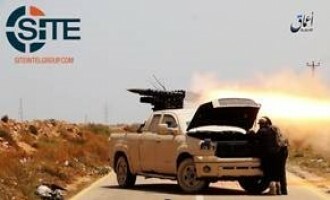 The Islamic State’s (IS) Tripoli Province in Libya claimed killing and wounding 23 forces from the Government of National Accord following “fierce” clashes as they attempted to advance on IS positions in Sirte. 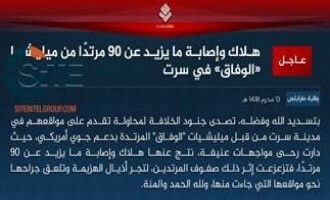 Tripoli Province of the Islamic State (IS) in Libya claimed killing and wounding 90 forces from the Government of National Accord as they attempted to advance on its positions in Sirte. 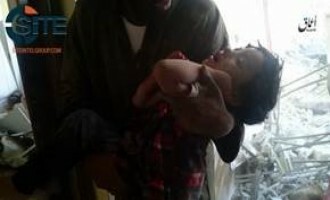 After its ‘Amaq News Agency reported on deaths and injuries among civilians due to U.S. airstrike on the Libyan city of Sirte, the Islamic State (IS) published a photo report on the impact from these raids, showing child casualties. 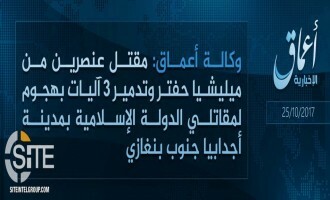 ‘Amaq News Agency of the Islamic State (IS) published a report on the past three days of U.S. airstrikes on Srite, focusing on civilian casualties, and noting the enemies’ inability to retake the Libyan city. 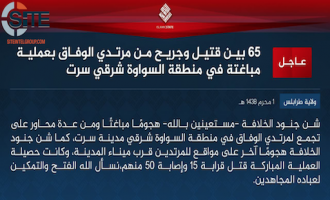 Tripoli Province of the Islamic State (IS) claimed killing and wounding nearly 65 from the National Accord government in a “surprise operation” east of Sirte. 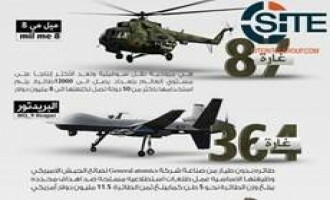 Shura Council of Benghazi Revolutionaries Publishes Infographic on Aircraft Participating in "War on Benghazi"
Al-Saraya Media Center of the Shura Council of Benghazi Revolutionaries (SCBR) published an infographic on the various aircraft participating in the "war on Benghazi" and the number strikes executed by each. 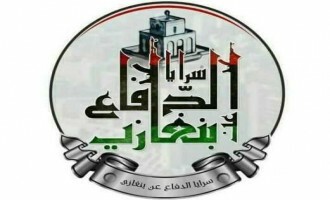 The Shura Council of Benghazi Revolutionaries (SCBR) condemned the UN Support Mission in Libya (UNSMIL) for an alleged conspiracy against people besieged inside Ganfouda district. 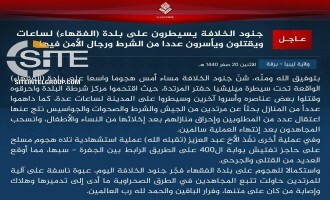 The Islamic State (IS) claimed that over the past two days its fighters killed and wounded nearly 400 from the “militias” of the National Accord government in Sirte, including “hundreds” in five suicide bombings. 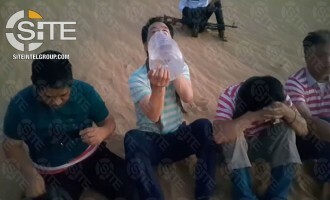 Barqah Province of the Islamic State (IS) in Libya released a video featuring posthumous clips of Libyan suicide bombers advising their counterparts in other IS provinces to undertake "martyrdom-seeking" operations and remain patient amidst affliction. 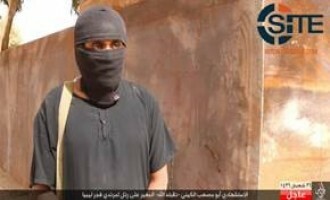 The Islamic State (IS) portrayed the attempted suicide bombing by Aaron Driver in Ontario, Canada, as a success in its al-Naba newspaper, and reported in an infographic on losses to the enemy amidst attempts to retake the Libyan city of Sirte. 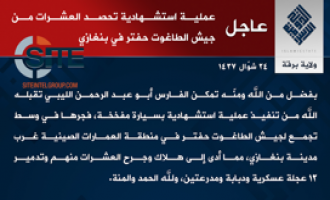 Tripoli Province of the Islamic State (IS) in Libya claimed killing and wounding dozens of Libyan forces in suicide bombings by Egyptian and Tunisian fighters in Sirte. 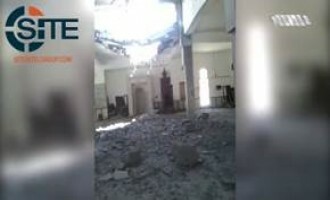 The Shura Council of Benghazi Revolutionaries (SCBR) accused French aircraft of bombing a mosque in Ganfouda, and released videos showing the aftermath, and a civilian describing the scene and the poor condition in which families live due to the aircraft. 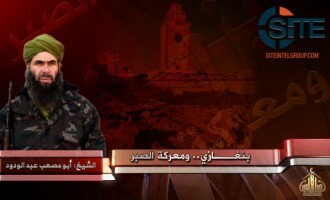 Ansar al-Shariah in Libya released a video claiming credit for the July 7, 2016, suicide bombing at a Libyan army headquarters in western Benghazi, and providing a jihadi biography of the bomber. 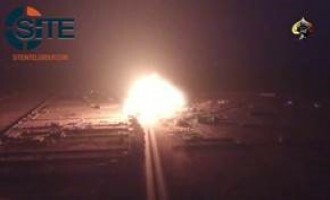 The Shura Council of Benghazi Revolutionaries (SCBR) claimed killing 28 Libyan soldiers and wounding 70 as the initial outcome of a suicide bombing in Benghazi. 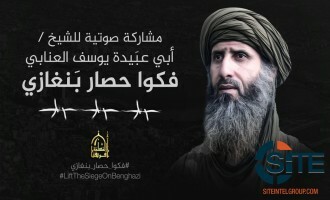 The Shura Council of Benghazi Revolutionaries (SCBR) released a video speech from its military commander, Wissam bin Hamid, urging Libyan Muslims to support fighters against the "insidious French intervention" in the country. The Islamic State (IS) released the August 1, 2016 English edition of its al-Bayan provincial news bulletin, which included recaps of operations in Syria, Iraq, and Libya. 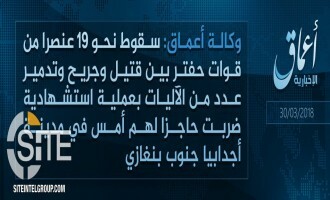 Barqah Province of the Islamic State (IS) claimed killing and wounding “dozens” of Libyan military forces in a suicide operation west of Benghazi. 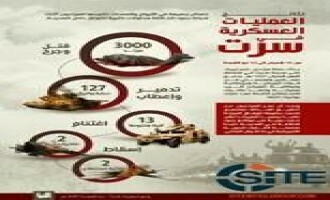 The Islamic State (IS) released the July 27, 2016 English editions of its al-Bayan provincial news bulletin, which included recaps of operations in Syria, Iraq, France, Nigeria, Libya, and Egypt. 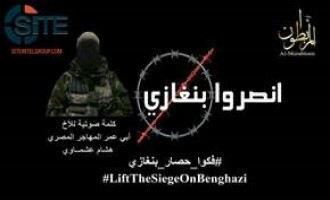 The Shura Council of Benghazi Revolutionaries condemned the French military involvement in Libya and called on Libyan Muslims for a general mobilization to confront the enemy and "expel the henchmen of France and the rest of the Crusaders". 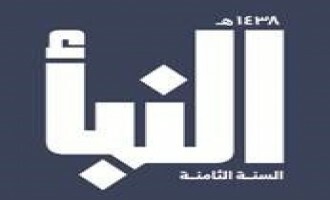 The Islamic State (IS) released the July 19, 2016 English edition of its al-Bayan provincial news bulletin, which included recaps of operations in Syria, Iraq, and Libya. 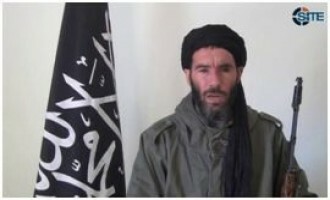 Hisham Ali Ashmawi (AKA Abu Omar al-Muhajir), a former Egyptian Special Forces officer and leader of the pro-al-Qaeda al-Murabitoon, rallied fighters in the Libyan city of Benghazi in an audio speech. 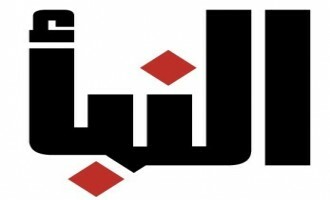 The Islamic State (IS) released the June 27, 2016 English edition of its al-Bayan provincial news bulletin, which included recaps of operations in Syria, Iraq, Libya, and Egypt. 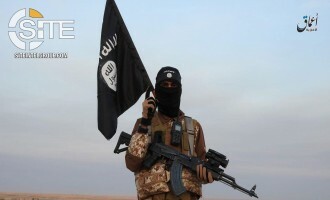 'Amaq News Agency of the Islamic State (IS) reported that nearly 450 Libyan soldiers were killed and hundreds of others were wounded in battles over the past month with IS fighters in the perimeter of the city of Sirte. 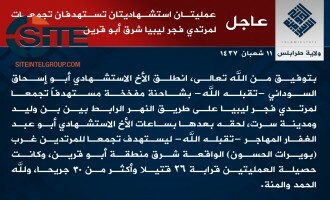 Tripoli Province of the Islamic State (IS) claimed suicide bombings by Egyptian and Tunisian fighters on Fajr Libya positions, in addition to other attacks on the militia in the city of Sirte. 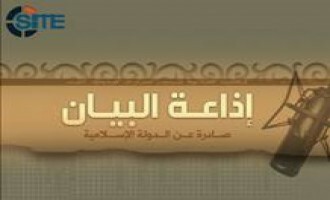 From the Islamic State (IS) English edition of its al-Bayan provincial news bulletins covering June 7, recaps included operations in Iraq, Syria, and Libya. 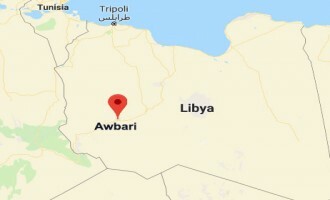 After claiming to have killed more than 48 Fajr Libya forces in a suicide bombing near Sirte, Tripoli Province of the Islamic State (IS) reported that it shot down a warplane of the militia alliance, 30 kilometers west of the city. 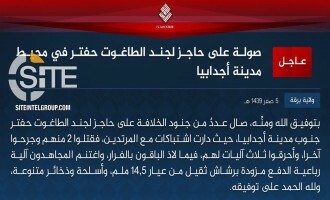 Tripoli Province of the Islamic State (IS) claimed killing more than 48 Fajr Libya forces in a suicide bombing by a Kenyan fighter near Sirte. 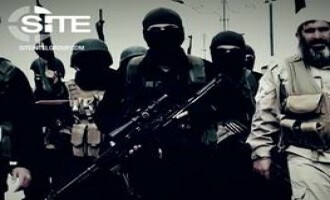 The Islamic State (IS) released the June 2, 2016 English edition of its al-Bayan provincial news bulletin, which included recaps of operations in Syria, Iraq, and Libya. 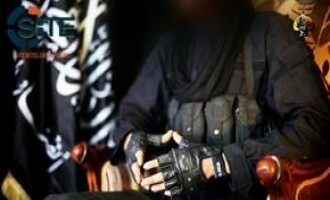 Five Islamic State (IS) fighters from West Africa in the group's Tripoli Province called on their respective Muslim countrymen to immigrate to IS-held territory in Libya. 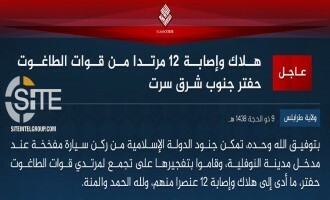 Tripoli Province of the Islamic State (IS) in Libya claimed killing and wounding nearly 117 Fajr Libya militiamen in three suicide bombings by Egyptian and Indian fighters, and a clash in Sirte. 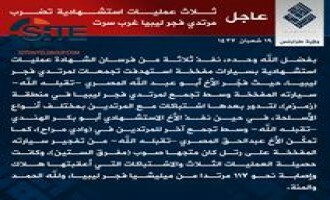 The Islamic State (IS) released the May 19, 2016 English edition of its al-Bayan provincial news bulletin, which included recaps of operations in Libya, Afghanistan, Syria, and Iraq. 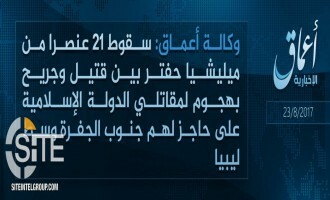 Tripoli Province of the Islamic State (IS) claimed killing 26 Fajr Libya forces and more than 30 others in two suicide bombings. The Islamic State (IS) released the May 17 - 18, 2016, English edition of its al-Bayan provincial news bulletin, which includes recaps of attacks in Iraq, Syria, Libya, and Afghanistan. 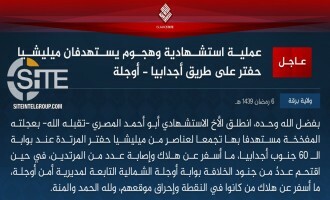 Tripoli Province, a division of the Islamic State (IS) in Libya, claimed killing four and wounding 36 in a suicide bombing by a Sudanese fighter in Misrata. 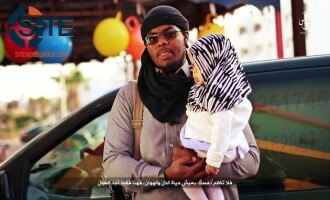 The Islamic State (IS) released the May 11, 2016 English edition of its al-Bayan provincial news bulletin, which included recaps of operations in Libya, Syria and Iraq. 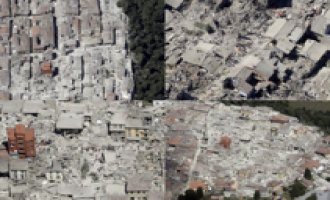 The Islamic State (IS) released the May 9-10, 2016, English edition of its al-Bayan provincial news bulletin, which includes recaps of attacks in Iraq, Syria, Libya, the Philippines, and Egypt. The Gaddafah, Warfalah, and Ould Suleiman tribes in Libya released a photo report announcing their pledge to the Tripoli province of the Islamic State (IS). 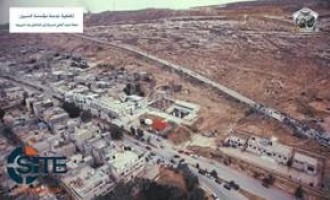 After announcing that it liberated the Libyan city of Derna and surrounding areas from the Islamic State (IS), the Shura Council of the Mujahideen of Derna and its Outskirts released a video showing the "joy of the people after the liberation". 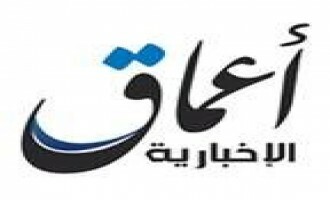 Amaq News Agency of the Islamic State (IS) reported that the group's fighters withdrew from al-Fatayeh district near Derna in northeastern Libya, after breaking a cordon imposed by the Shura Council of the Mujahideen of Derna and its Outskirts. 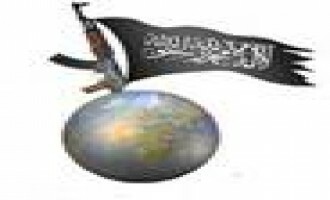 The Shura Council of the Mujahideen of Derna and Its Outskirts claimed liberating its areas from the Islamic State (IS) in what it called the "Takbir Revolution". 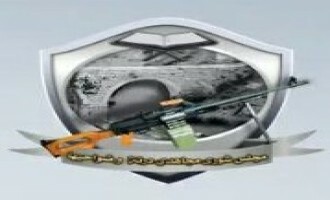 Ansar al-Shariah in Libya released a video of fighters training at a camp named in honor of Miloud Sadaqah, a top group official who was killed in clashes with the Libyan army in Benghazi in April 2015. 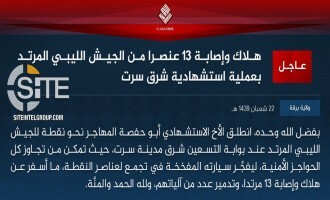 The Islamic State (IS) released the April 15-18, 2016, English edition of its al-Bayan provincial news bulletin, which includes recaps of attacks in Iraq, Syria, Eqypt, Libya and Yemen. 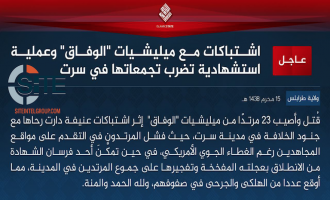 Barqah Province, a division of the Islamic State (IS) in Libya, claimed two suicide bombings and a raid on army and militia positions in the area of al-Heela in eastern Derna. 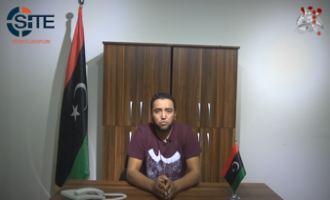 Ansar al-Shariah in Libya released a video from one of its military officials calling on Muslims in general and specifically those in Libya to fight or participate in jihad by other means.